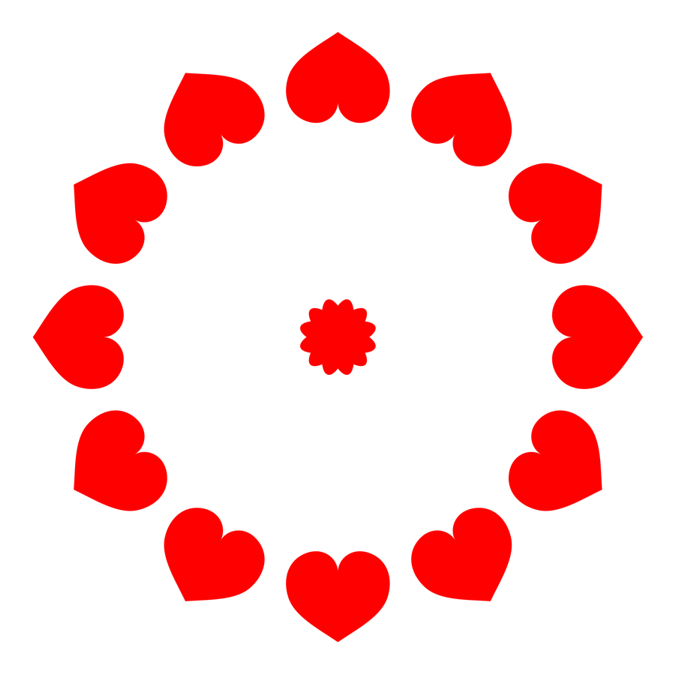 When observers move toward the image during fixating at the center, an illusory 'heart' with radial arms is observed. Watch the left image for a while and move the gaze to the right space, illusory red or pink hearts are observed. 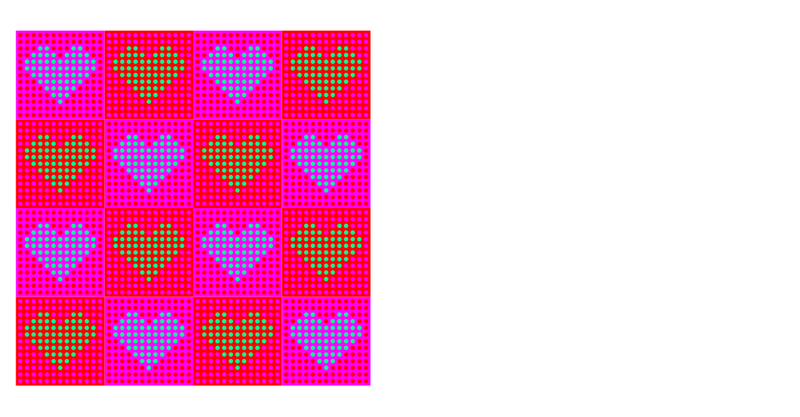 Since the blue hearts and the yellowish-green ones are of the same color (R=0, G=255, B=151), these chromatic afterimages are related to the color illusion. Watch the left cross more than ten seconds and move the gaze to the right cross, illusory color beads are observed above or below the cross. 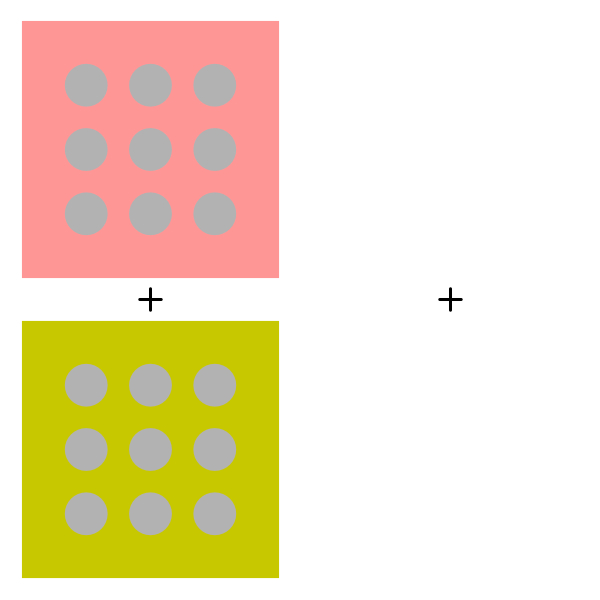 The nine beads in the upper afterimage appear to be red, while those in the lower afterimage appear to be yellow. Since the eighteen beads in the left image are gray (R=178, G=178, B=178), achromatic stimuli generate chromatic afterimages!